In all honesty, this is a terrible place to watch music – and yet it is a fantastic venue! 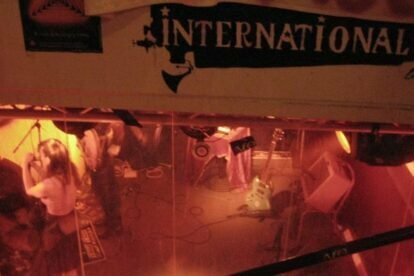 The stage is down in the basement, tucked away beside the staircase and often hidden from view behind large pillars, but it is unmistakably a real rock venue, and as an additional bonus, all concerts are free! Every night of the week at least two or three bands are featured, ranging from those playing their first chords in front of an audience to those with many years’ experience. From folk to punk, you’re never to sure what you’ll get but at least the atmosphere is guaranteed to be electric! The floor is sticky, the music loud and the beer cold. What more do you need?